Iva Paščenková | AK-Mechanika, s.r.o. 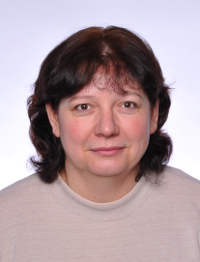 Iva has been working at AK-Mechanics since 2011. She performs organizational and administrative activities of the office character. Brno University of Technology, Faculty of Civil Engineering, Building Construction (1979 – 1983). Architectonic office Ing. Arch. Pavel Maléř Ph.D. (1998 – 2011) – senior designer of building constructions. Self-employed (1992 – 1998) – designer of building structures. Stavoprojekt s.p. Pardubice (1983 – 1992) – designer of building structures.